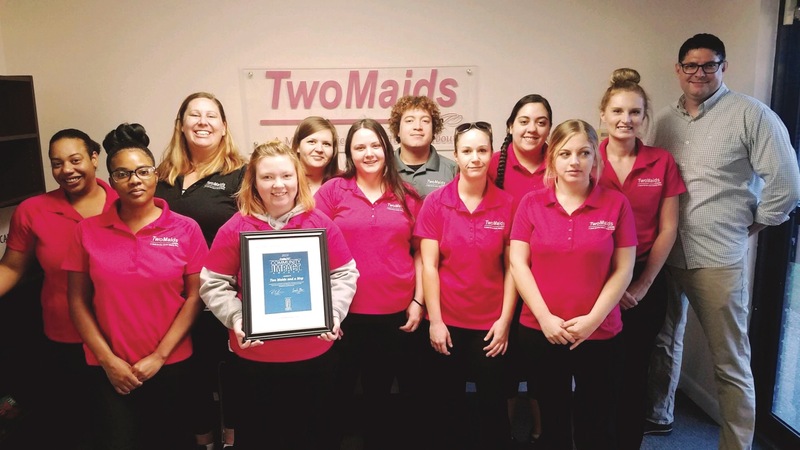 What They Do: Two Maids & A Mop provides exceptional cleaning services to residents in Virginia Beach, Chesapeake and Norfolk so you can spend less time cleaning and more time with the ones you love. How They Help: Giving back has been at the heart of Two Maids & A Mop since its inception. Having lost friends and family of his own to cancer, founder Lee Sheridan is passionate about supporting those in the community who are facing similar battles. After establishing the cleaning business, Sheridan partnered with the Texas-based nonprofit, Cleaning For A Reason to provide free cleanings to cancer patients throughout Virginia Beach, Chesapeake and Norfolk. Through the service, Two Maids & A Mop provides two hours of complimentary cleaning services that range from full house cleanings and focalized cleanses in the kitchen or bathroom to organization assistance. Sheridan explains that unlike other complimentary services in our area, Two Maids & A Mop is not restricted to cleaning, thus allowing Two Maids & A Mop employees and volunteers to cater to the individual needs of their ailing clients. Sheridan further explains that if clients wish to remain on his company’s service after their complimentary cleaning, he works with them to make the relationship possible. “What sets us apart is that we do not reject patients. If they want to stay on board after the free services are done, then we will do so at a discounted rate or we will identify a plan that works with their needs and their budget,” he says. Volunteerism is not viewed as an obligation by Two Maids & A Mop employees, rather as a privilege. Since establishing its philanthropy, Two Maids & A Mop has served 16 women and three men throughout Coastal Virginia. To our company, community impact looks like: taking a load off those who are busy dealing with the bigger things [in life] like health, family and healing.